A mining-led economic revival in Central Queensland is putting a multi-million dollar price tag on regional industrial property and fuelling investor appetite, according to Trilogy’s head of Lending, Acquisition and Development, Clinton Arentz. Arentz said that while the mining construction boom had been and gone, the next wave of regional economic activity — mining services — was behind rising rent rates, decreasing vacancy rates and keen interest from investors looking to put their money into regional industrial holdings. 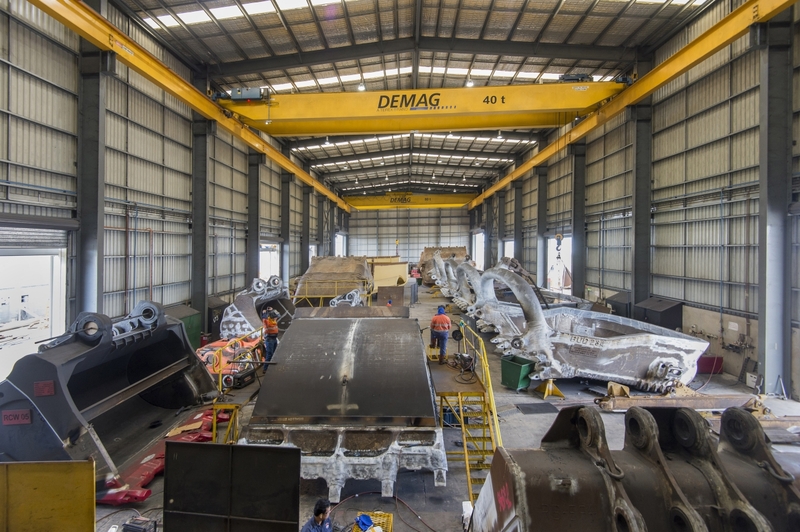 "Regional Queensland, particularly Central and North Queensland are out of the downturn and as businesses move to the service and maintenance phase in support of mining activity we've seen growth in demand, particularly for industrial property," he said. "And there is a lot more to come, particularly for the Mackay region and the Bowen Basin, if the uptake of our first open-ended, multi-asset investment – the Trilogy Industrial Property Trust – is anything to go by." Trilogy opened the Trilogy Industrial Property Trust in late-January and it was fully subscribed within the month, raising just under $12 million. The Trust will acquire two high-specification industrial facilities located in Paget, Mackay, a region which over recent times has shown improved economic performance through its diversified agricultural and mining industry base. The two facilities were "design and construct" projects for tenants – Independent Mining Services QLD Pty Ltd and Alfagomma Australia Pty Ltd. The tenants relatively stable rental income is forecast to produce a monthly distribution equivalent to 8.5 per cent per annum. "We launched with these two properties and we are actively in the market looking for opportunities to add to the Trust in the short term," Arentz said. "We see terrific opportunity in the regional industrial property market, particularly along Australia's east coast. "Some of the investor opportunity comes from a desire for new facility builds by businesses who are in a growth phase, largely due to strong forward orders for products or maintenance from the mining operators. "The other opportunity is when family-owned businesses are looking to maintain their business, but cash out by selling their freehold property and then taken on lease back. "This releases debt-free capital for expansion and it puts good properties on the market for investors," Arentz said. “Across the country, industrial property is being met with strong demand given current conditions driving growth in value attributable to long-term leases. “A property trust’s performance is primarily driven by the quality of the tenants and the longer lease term that is associated with industrial property adds an element of stability to the Trust”, said he said. To learn more about the Industrial Property Trust and other investment opportunities, visit trilogyfunds.com.au. The Urban Developer is proud to partner with Trilogy Funds to deliver this article to you. In doing so, we can continue to publish our free daily news, information, insights and opinion to you, our valued readers.